(above, l-r) Troy Pytell, Ronni Stein, Al Pepe, Joe Cerami, Chief Al Gallo, and Tom Delia. 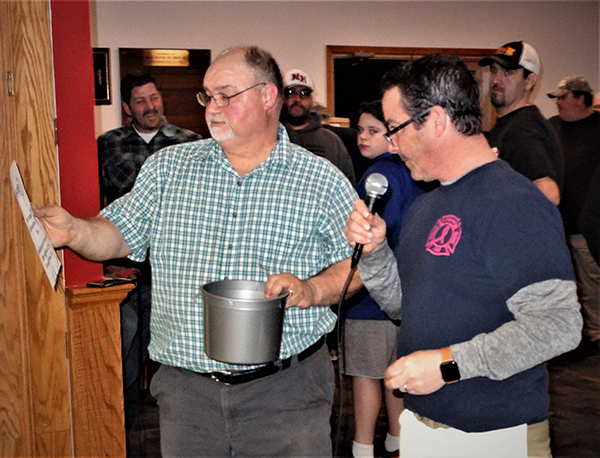 Stirling Volunteer Fire Co. firefighters held their 20th annual Venison Dinner on Saturday, March 2, 2019 in the firehouse where more than 150 people feasted on a dozen varieties of venison specialties that were prepared by the firefighters. Chairmen of this annual fund raiser was Fire Chief Al Gallo who was assisted by more than 25 Stirling firefighters. The firefighter chefs who prepared the feast were Al Gallo, Joe Cerami, Albert Pepe, Troy Pytell, Craig Tuma, Ronni Stein and Tom Delia. Over 400 hours was spent by the firefighters preparing the food, cooking, staffing the event, and cleaning-up afterward. 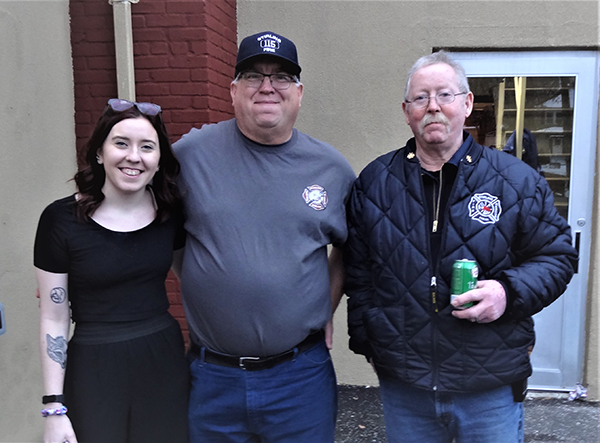 he income from this event helps to pay for training, firefighting equipment, and maintenance of the firehouse that’s owned by the Stirling firefighters. Diners came from all over central and northern New Jersey and when asked why they traveled so far for this dinner, they unanimously replied because it was the best venison meal in the state. The firefighters thank the Long Hill Leader for their help in publicizing the event and making it a success. (above) Zasha Wojtech, Assistant Fire Chief Randy Wojtech, and Deputy Fire Chief John Whitmore. (above) Anthony Pepe and Craig Tuma announcing the door prize winners. (above, l-r) Steve Remington, Jeff Wanamaker, Matt Picone, Chris Hoffman, Brian DiDonna, Jack Remington, Matt Rozmerski, and Nick Giglio.